You have perhaps heard of the old Icelandic month Þorri (the 13th month of winter, 20. January – 18. February in 2017) and the frightening food that accompanies it. Here is some insight into the tradition of these strange delicacies. 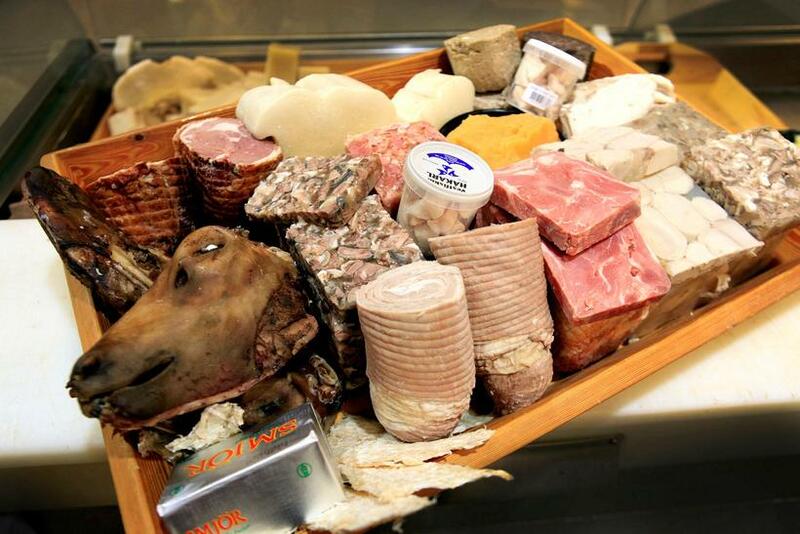 Þorramatur (the traditional food of þorri) includes pickled sheep testicles, sheep heads, pickled slátur (Icelandic blood pudding or liver sausage), pickled or fresh sheep head jam, fermented shark and so on. 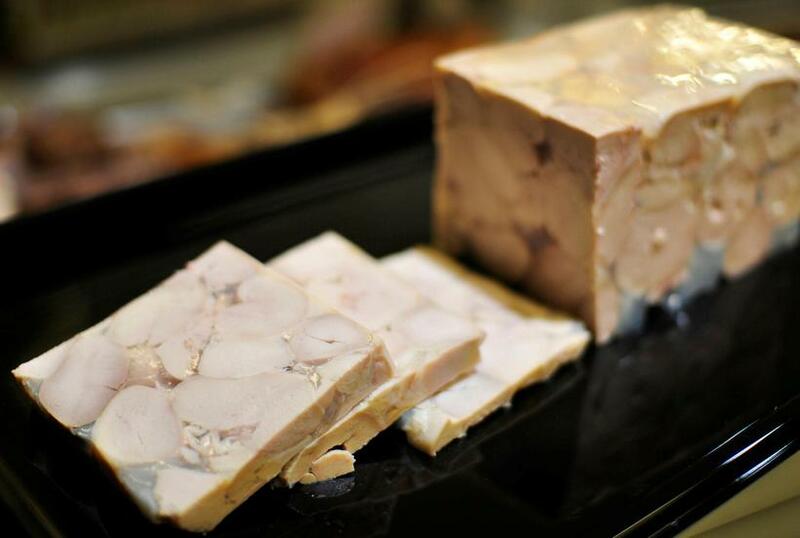 This food is often used to freak out tourists but locals savour it at Þorrablót, an ancient midwinter festival. It is feasted upon along with other traditional dishes such as hangikjöt (smoked lamb), harðfiskur (dried fish), enjoyed with potato or rutabaga mash and local bread. The Icelandic nation is divided into three when it comes to this food, either you love it, hate it, or pretend to love it - only taking a bite or two, preferably covered in potato mash to mask the flavour. Most of those who love it have a favourite, and perhaps only like their favourite and don’t touch any of the other dishes on the table. This is a buffet where you can be picky with no questions asked (though a dare is a likely scenario). One of the least popular and most controversial of these dishes is pickled rams testicles. They just happen to be my favourite. When I was a kid I loved pickled rams testicles so much that I spent my weekly allowance on that instead of candy. After all, this is food only available during þorri, you have to grab the testicles when you have the chance! Regardless to my love of this food, I freely admit that this is an acquired taste. I am very doubtful that I would like it at all if I hadn’t grown up in Iceland. The love for this food for many comes, I believe, from the context, from Þorrablót. There are of course those who love it for the flavour. I myself can never wait for þorri to start to enjoy the delicacies of the season, I always take a jump start as soon as the food hits the supermarkets in the beginning of January. But for many I believe the context rules the flavour. Þorrablót can be an intimate family feast. More commonly it’s a feast for an entire community of people. Þorrablót is an annual festival of most rural societies in Iceland. There is a long standing tradition for farmers and other inhabitants of one hreppur (old districts, rather small) to get together in the local community hall where every home brings their own þorramatur in a trog (a wooden box not used for anything else). There is usually some form of entertainment filled with inside jokes, the entire group of attendants sing toghether and the feast ends with a dance. Many towns also have their own Þorrablót in similar style that most of the inhabitants participate in. 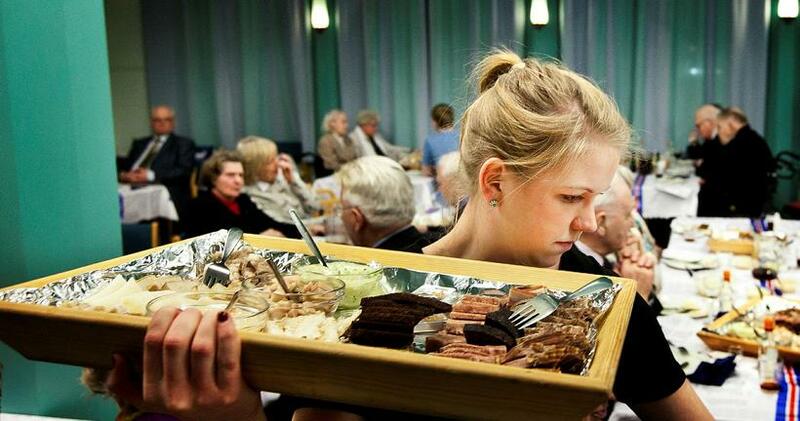 Þorrablót of this kind is the time when those who have moved away over the years return home to have a bite, drink and a dance with their former neighbours, friends and family. It’s also the sort of party that people of all ages participate in. Most barriers of society are broken, this is one of the few venues that people of different ages and status in society enter as equals. It’s hard to describe the atmosphere at Þorrablót. In one word, it’s fun. And as this strange food is in the centre of this high point of the year in many communities in Iceland, the flavour of it is affected by the feast. The experience of the food is influenced by the surroundings. The dance, the jokes, the sheer fun of it all lends their flair to the food, rendering it delicious!